Human milk from healthy women has been traditionally considered sterile. In 2003, a study from our research group suggested, for the first time, that there may be a site-specific human milk microbiota/microbiome; since then, many other studies from many laboratories around the world have shown that it provides a continuous supply of commensal, mutualistic and/or potentially probiotic bacteria to the infant gut. Culture-dependent and -independent study of human milk have revealed the dominance of staphylococci, streptococci, corynebacteria and lactic acid bacteria in this biological fluid. In addition, DNA from gut-associated strict anaerobes has also been found. Improvements in culturomics, molecular methods and bioinformatics should help to improve our knowledge on the composition of the human milk microbiome. 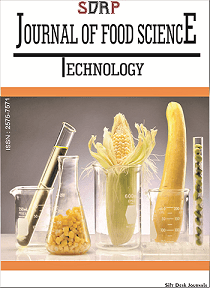 Biases concerning milk sampling and storage, potential DNA contamination of DNA extraction kits and reagents, and other confounding factors must be addressed in the future; and for this purpose, international collaborative research involving the sharing of protocols and samples will be particularly beneficial in this field. It is becoming evident that the key role of human milk is the vertical mother-to-infant transmission of some of the first colonizers for the infant gut. These bacteria could protect the infant against infections and contribute to the maturation of the immune system, among other functions. However, more studies are required to elucidate the wide spectrum of functions that human milk bacteria may exert for both the mother and the infant. The composition of the human milk microbiota/microbiome seems to be influenced by many factors but this subject is far from elucidated. Interactions between the human milk microbiota and other bioactive compounds also found in human milk may be complex and deserve future investigations. The origin of the bacteria present in human milk may be diverse, but recent studies suggest that some bacteria present in the maternal gut could reach the mammary glands during late pregnancy and lactation through a mechanism involving gut monocytes. Thus, modulation of maternal gut microbiota during pregnancy and lactation could have a direct effect on infant health. On the other hand, the microbial composition of human milk also has a direct relation with mammary health, since mammary dysbiosis may lead to mastitis, a condition that represents the leading medical cause for undesired weaning. In addition, it has been suggested there may be a potential link between the human milk microbiome (mastitis) and the risk of developing breast cancer later in life. Selected strains of bacteria isolated from human milk could be good candidates for use as probiotics, but they must be characterized properly, and their safety and benefits evaluated in well-designed clinical trials. Human milk microbiota is destroyed when it is pasteurized in human milk banks to feed preterm or ill neonates; methods to restore such microbiota in such sensitive populations are been investigated at present. This Research Topic focusses on the microbiota and microbiome of human milk. We welcome submissions of all article types that address the composition, origin, and function of the human milk microbiome, and applications to improve mother-infant health.